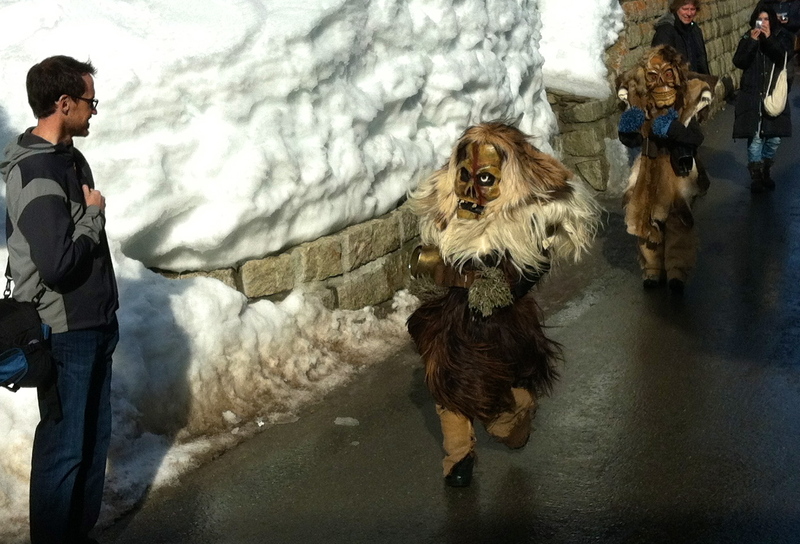 Carnival is a big thing in Switzerland. 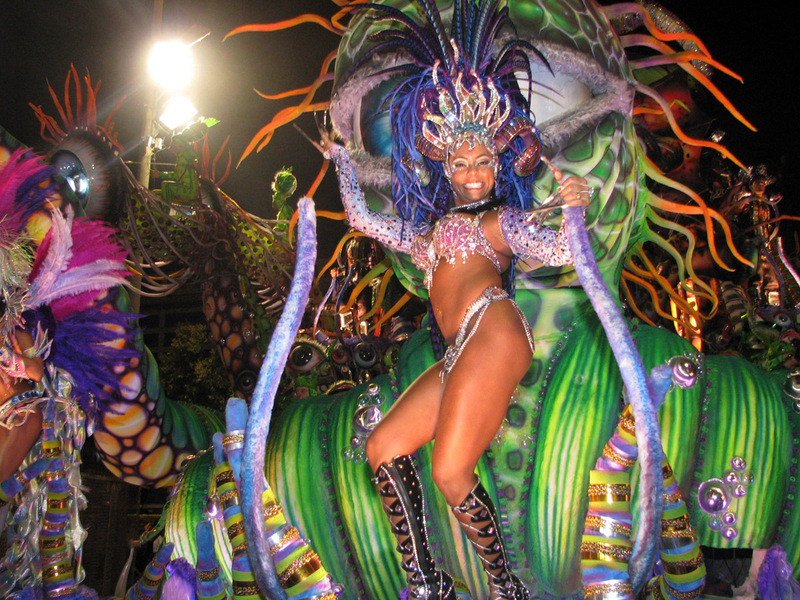 Many of the teeny tiny communities have celebrations starting the Thursday prior and leading up to Ash Wednesday. It always looked fun and we decided since it was Carnival weekend in many towns, we should head out into the Swiss countryside with S & S to check it out. These strange creatures are the Tschäggätä. 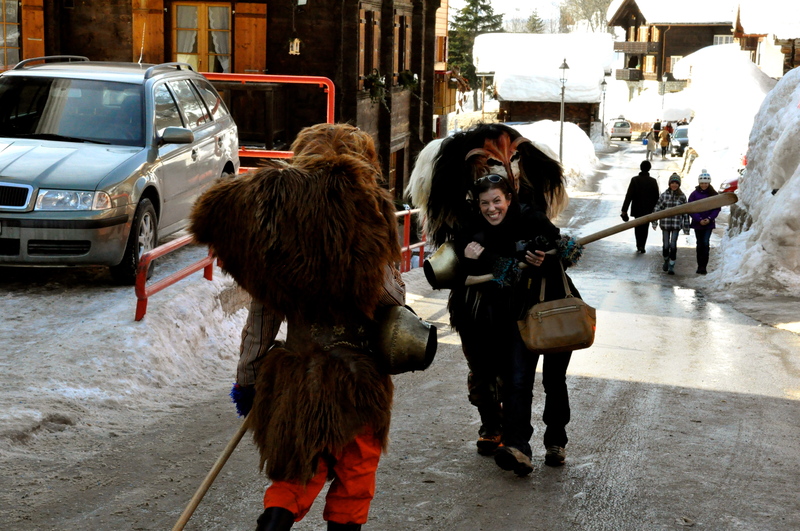 The tradition of the town men marching through the streets at Carnival in wearing animal skins, wood masks and ringing cow bells has been passed down through the generations in many mountain villages of Switzerland. This particular one we witnessed was in Wiler. If you attend, I’d recommend not bringing little children. Some of the kiddies were not amused by the scary beasts clad in animal fur. *Okay, so they didn’t really take S hostage for good. But they got me soon after her and it isn’t exactly comforting to be grabbed by one of these things. Our husbands didn’t quite know if they should save us or not. For more history on this bizarre custom, check out S’s blog. She also has a great one on the remoteness of the valley as well. This entry was posted in Festivals & Events, Switzerland, Travel: Within Switzerland. Bookmark the permalink. You know my fear of clowns and scary beasts-don’t think that I could handle this…freaky. I think you could certainly get a job with National Geographic with your extraordinary photos. I especially enjoyed the action clip.